Two instructors teach new riders how to tack and untack their individual horses. 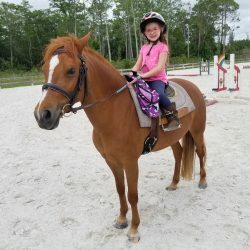 This package includes an hour of riding for two in a large enclosed arena and 30 minutes of grooming, tacking, untacking, and bathing. 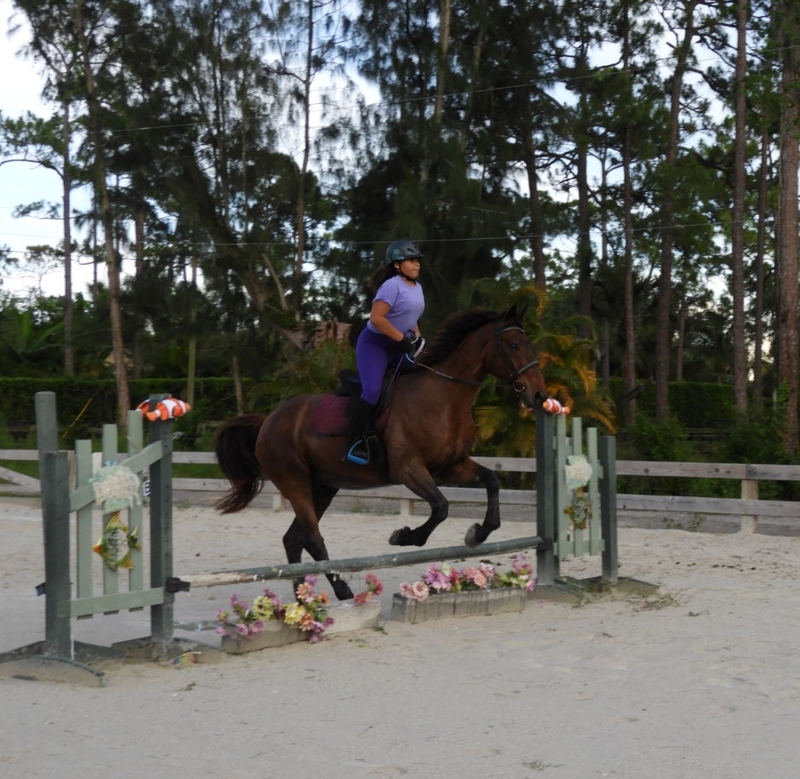 Here at Pink Flamingo Stables, we are focused on not only creating a memorable experience, but an enjoyable one. 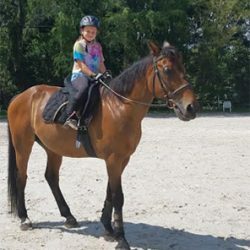 No matter your horseback riding ability, we look to create the most positive, safe, and enjoyable experience for each rider at our horse riding school. 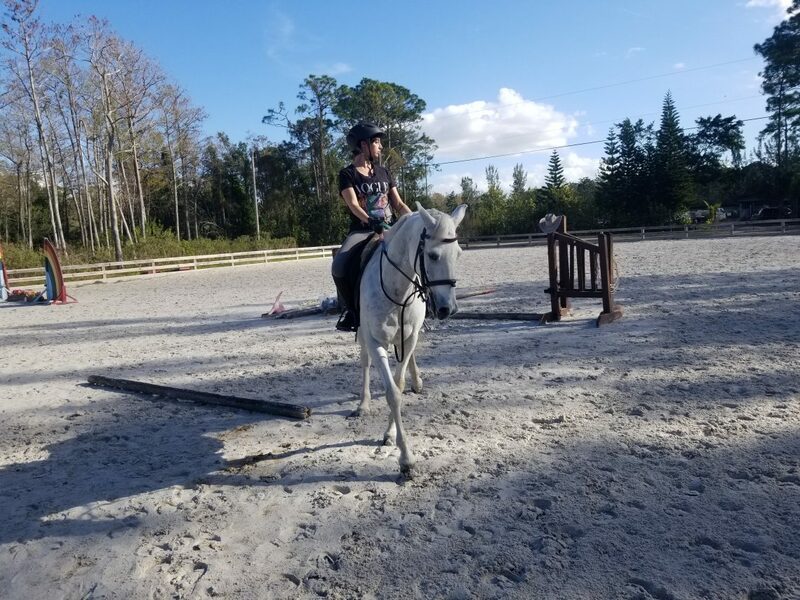 When it comes to your riding sessions, owner and instructor, Alicia Grace, provides quality horsemanship lessons designed to enhance each individual rider’s understanding and skills. 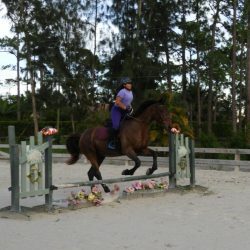 Tailoring her program to meet the specific needs and requests of her riders, she is able to teach effective techniques and methods in over-fence lessons. Committed to helping each rider achieve his or her personal goals, our instructors are dedicated to our riders’ success. 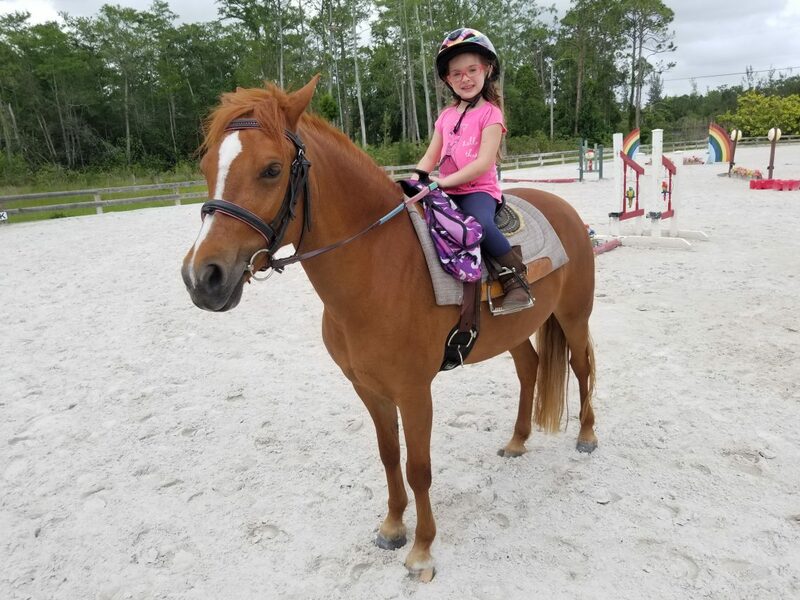 Located on five acres in the heart of Lake Worth, Pink Flamingo Stables is the ideal setting for horseback riding lessons. This tranquil location boasts a spacious, outdoor, all-weather riding arena with jumps and a premier round pen. Our riding school provides the perfect setting for first-time riders through experienced equestrians. 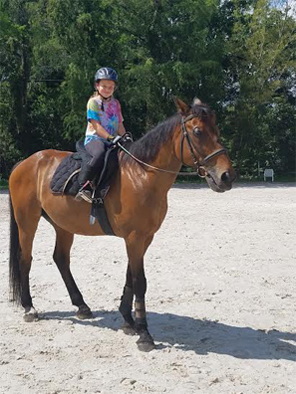 Lessons provide riders with the foundational horsemanship skills necessary to succeed in any riding activity. 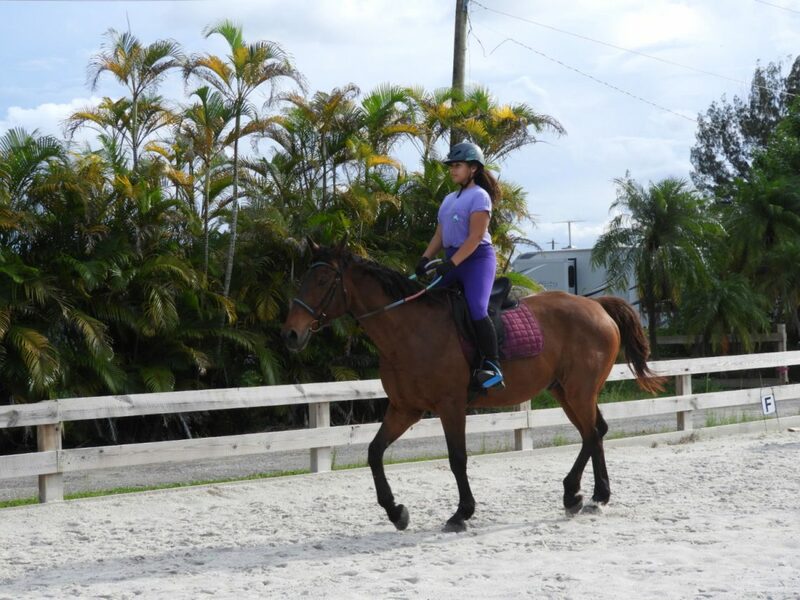 As riders become comfortable with their horse and their horse begins to trust their rider, both rider and horse will learn how to work together to accomplish individual goals. Whether for pleasure or for competition, all lessons are taught in an arena or round pen. 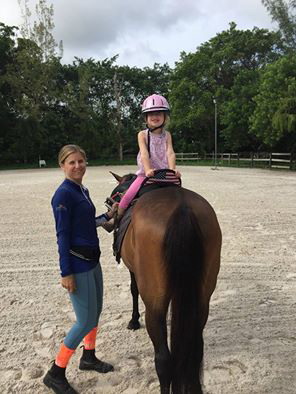 Each lesson emphasizes proper horsemanship on the ground and in the saddle and is tailored to each individual rider’s experience and comfort. 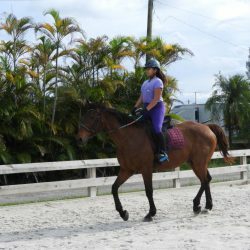 A wide range of horses and ponies are available for lessons and hacks, catering to beginner through advanced riders. Stable management and specialized training courses are available. 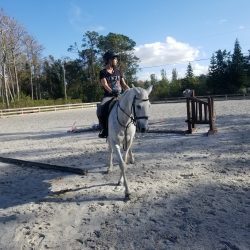 All lessons are by appointment and include English, Western, hunter, jumper, dressage, and trail-riding disciplines, in private and group settings. 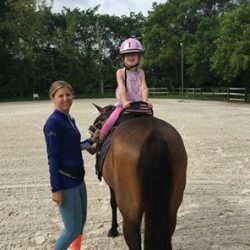 When you grab your phone and type in “horseback riding lessons near me,” you’re looking for Pink Flamingo Stables, To ask questions or to schedule your session, get in touch with us today.